I don’t know about you but so many times I’ve posted some complete random crap on my business pages just for the sake of something to post, just because I thought oh no I haven’t posted anything today!! Sometimes I have honestly felt so stressed trying to think of a photo or something I could post just so that I could relax in the knowledge that I’d posted SOMETHING! I was listening way too much to the social media ‘experts’ saying you have to post 6 times a day to grow your following, get likes etc etc but I will take my hat off to anyone who can post that much every day on their Facebook, Instagram and Twitter without going mad!! For certain businesses or people wanting to grow their brand on a huge scale I get why you would need to post a lot of content about your life and random stuff but for local Pet Businesses is it really necessary? But then I read this fact that’s made me rethink everything…. The whole purpose in having Social Media (for your business) such as Facebook Pages and Instagram Accounts is to attract and drive traffic and paying customers to purchase your products or services. It’s not about getting the most likes or gaining 100 new followers a day. You can post a photo of a tree and get 100 likes but if those people aren’t going to be future customers or if people who like trees aren’t your ideal clients what’s the point?? So why stress about posting any old photo if then it has nothing to do with my business and therefore not attracting my ideal customers!? I once had a hugely famous NFL player accidentally tag my business (Tom Brady!) he has millions of followers and so many people said to me oh my gosh you must have so many extra customers now!!! Well no not really! I’m a local UK dog walker so American NFL fans aren’t really my target audience haha! I did gain some likes and it was pretty cool but still my point is if it doesn’t attract your target audience and your ideal customers it makes no difference to your business! 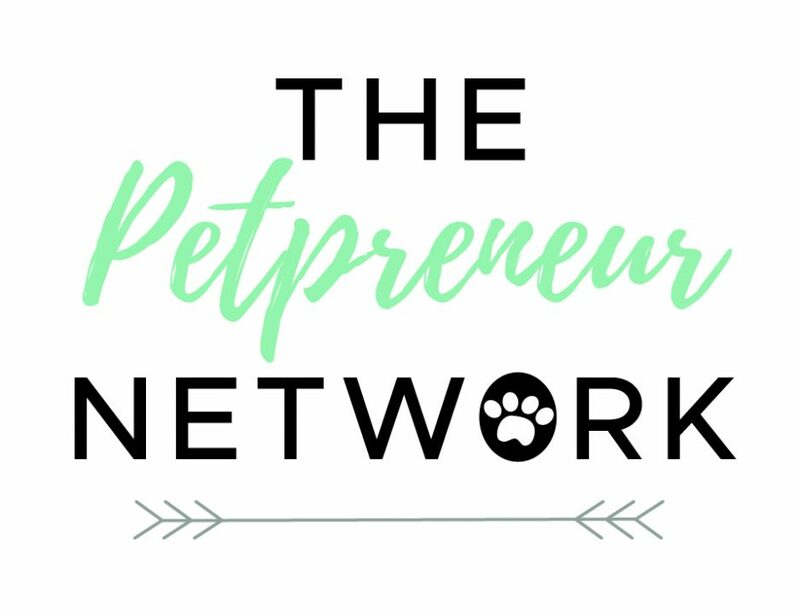 If you are interested in creating a Dog Walking & Pet Sitting Business come and join me over in my FREE Facebook Group for support, advice and inspiration! Or check out my online course! Find out more…. I wish someone had shared this wisdom with me in the early days of my business. You’ve probably all experienced those last minute ‘urgent’ requests. Or if you haven’t yet, expect them at some point! I always say one of the main things you have to be in the Pet Industry is flexible, it’s the nature of the job BUT there is a fine line between flexibility and being a door mat! A fine line between reliable and always available. Truth is there is ALWAYS another option, their pet is not your responsibility unless you have already agreed to look after them. They will always be able to find another option and if they can’t TOUGH they’ll have to cancel their plans. You may love their pet to bits but it’s not fair to put pressure on you at short notice. Now I would 100% say go above and beyond for your customers but not to your own detriment, sanity or cost. I think you’ll get a sense of which customers are genuine, who you are happy to accommodate and which are consistently making requests at the last minute or making you feel like it’s your responsibility. As an example I once received a message from someone who I had never met, asking me to walk her dog the NEXT day. She wasn’t interested in meeting me first or introducing me to the dog, she had to go to work and didn’t ‘have time’ to look for someone else. As if trying to make it my issue and my problem that i needed to sort out for her. Sorry not my problem! Again…. THEIR EMERGENCY IS NOT YOUR EMERGENCY. And probably ISN’T actually an emergency at all. Another example was a lady who’s cats I was looking after, she’d gone off to get married somewhere about 7 hours drive away, and she forgot her WEDDING DRESS!!! I mean REALLY 😳 anyway she pretty much demanded I package up her dress, take it to the post office and told me to do this by midday….. i advised that I was fully booked and couldn’t make an extra visit to her house (an hours round trip) by that time. It would have meant I was extremely late for all my other jobs. Funnily enough she had a friend who had a key to her house who did it instead she just didn’t want to trouble her friend!! Do not be treated like a member of staff, you are your own boss and you shouldn’t be made to feel ‘grateful’ for their custom if they are not going to respect you. Remember, what did they do before they found you? They made other arrangements! As long as you’re polite, not rude (even if you want to be!!) and explain that you’re so sorry you’re not able to fit them in at such short notice or do that favour etc, they have no right to be annoyed, you have a life and family commitments too, and if they are annoyed then let them go, there are plenty more customers who will respect you as a business owner. If you give in to them once they will keep taking the piss. End of! Stand your ground, you don’t need their custom that much! I know some of you are shouting “but I do need their custom!” Trust me you will soon fill their slot with a customer who is a much better fit. Has anyone else experienced these kind of last minute pushy customers? ******If you are looking to start a dog walking or pet sitting business come and join my free Facebook group for help, advice, tips from experts and more, or take my online course! *******Find out more….